The Directors and Associates of ART have significant senior level experience and knowledge of rail engineering and railway business management throughout the world. This worldwide knowledge supports the ART products and services portfolio, to ensure that client requirements are understood and that the products and services offered are bespoke, and appropriate for the rail application concerned. We have provided a selection of studies and projects delivered by the team. Most of the studies have involved aspects of transport economics, demand forecasting, railway operations and engineering assessment. All these parameters need to be blended together in a practical manner to produce realistic assessments for new or enhanced capacity and infrastructure improvement. Inevitably most of the projects involved some form of financial modelling to determine whether the solutions provide best value for money. 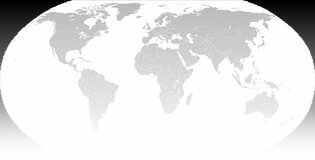 To see the extent of ART's involvement worldwide, click on a continent on the map above or click on a link below.